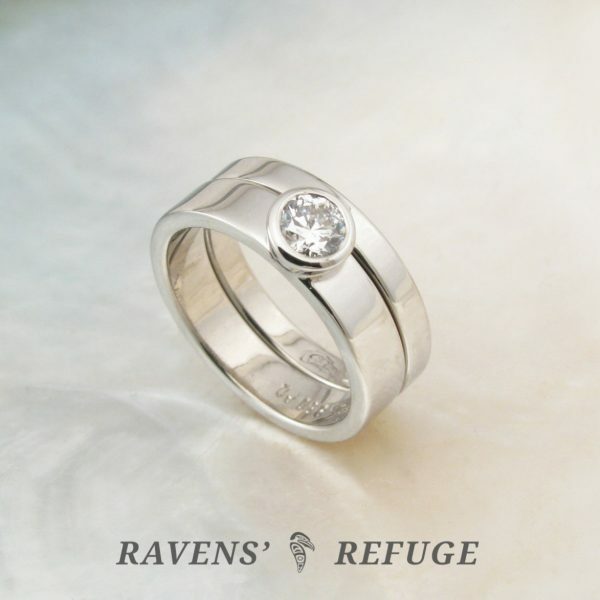 The price for this listing includes both the engagement ring and the wedding band. 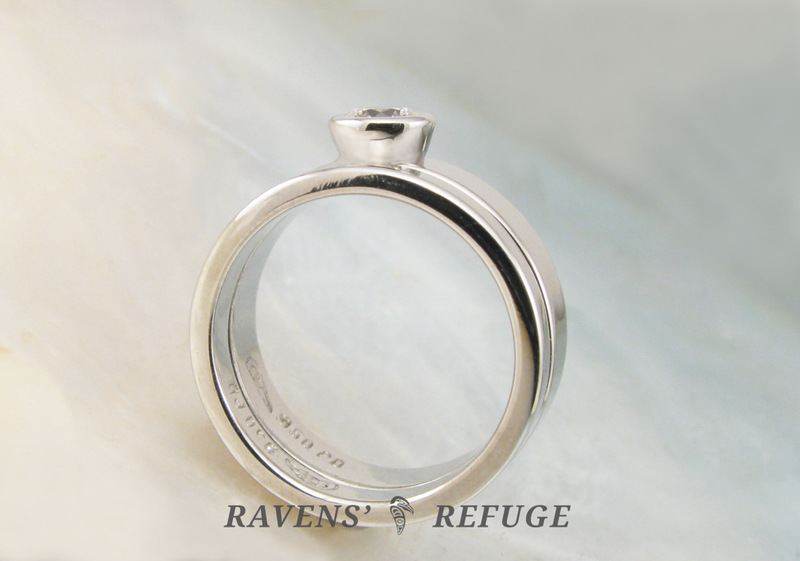 Each piece is available for separate purchase. 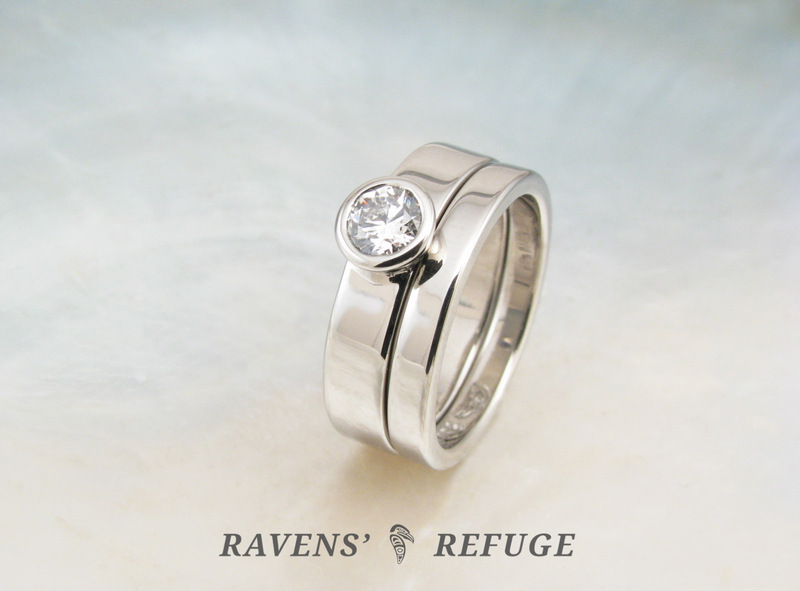 This unique bridal set is made of palladium 950 and features a 1/3 carat GIA certified diamond, SI/G+ quality, in a handmade bezel. 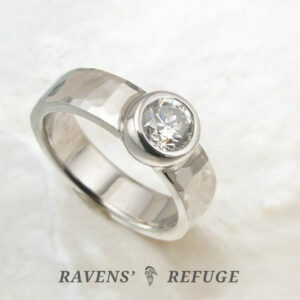 Most bezel-set rings these days are made with store-bought bezels and wires that are soldered together. 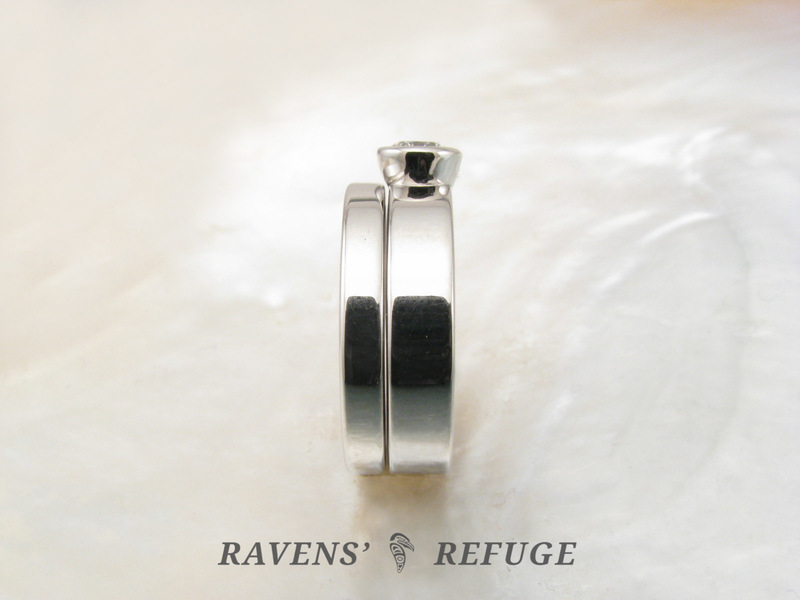 Not so, with this set — it is entirely handcrafted. 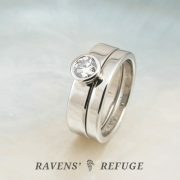 The diamond is approximately 4.5mm wide and seated upon a band that is 4mm wide and 1.5mm thick. 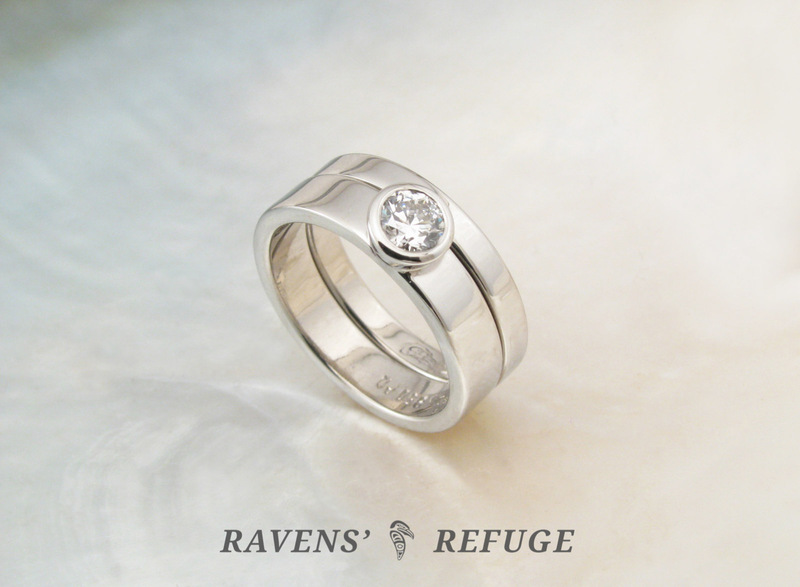 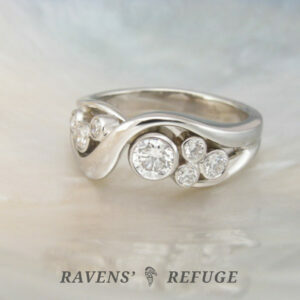 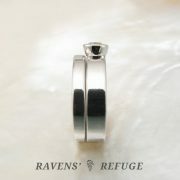 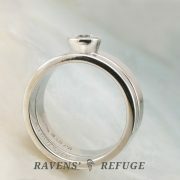 The bezel is tapered, which allows the engagement ring to nestle with its wedding band. 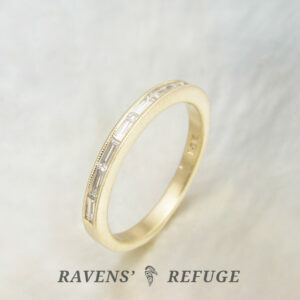 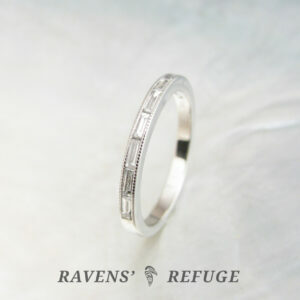 The pictured wedding band is 2.5mm wide and 1.5mm thick.